Fellow coast-to-coast Svengoolie SvenPals will be interested in his upcoming big broadcast premiere of a classic Columbia Pictures werewolf thriller. 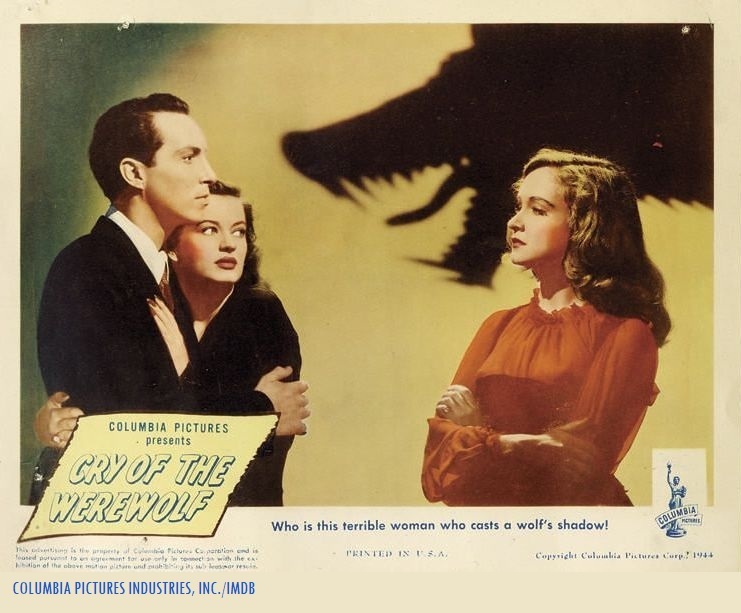 1944 Columbia Pictures lobby card/publicity photo for “Cry of the Werewolf,” with Stephen Crane, Osa Massen and Nina Foch. Note: The original Columbia theatrical trailer for “Cry of the Werewolf” (1944) is unavailable on YouTube and other video streaming platforms (as of this writing). 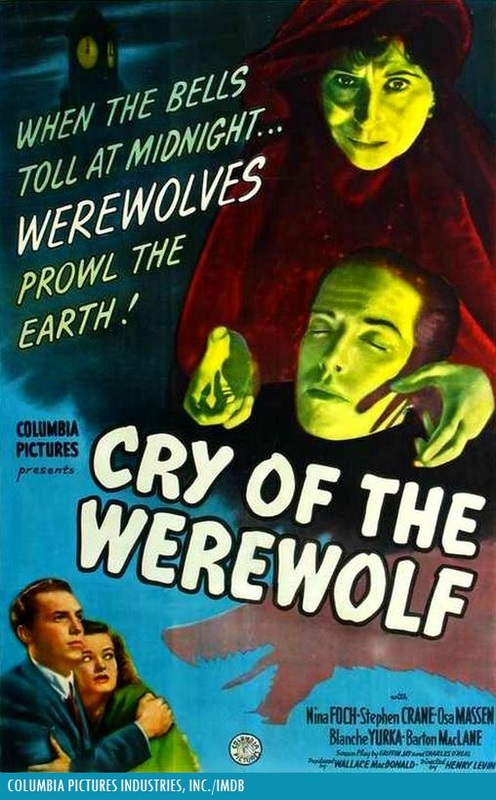 The legendary Berywn/Chicago-based horror film host will present his big coast-to-coast broadcast premiere of “Cry of the Werewolf” (1944), this Sat., Oct. 13 at 8 p.m. Eastern/7 p.m. Central on Me-TV. The 1944 Columbia werewolf thriller was directed by Henry Levin. This would mark Levin’s directorial debut in his motion picture career. He later directed several of the Columbia “Matt Helm” secret agent spoof film adaptations with Dean Martin in the title role, including “Murderers’ Row” (1966, with Ann-Margret, James Gregory and Karl Malden) and “The Ambushers” (1967, with Gregory, Senta Berger and Albert Salmi). Who was in “Cry of the Werewolf” (1944)? The players who appeared in Levin’s Columbia werewolf feature were Nina Foch (as Celeste), Stephen Crane (as Robert “Bob” Morris), Osa Massen (as Elsa Chauvet), Barton MacLane (as Lt. Barry Lane)*, Blanche Yurka (as Bianca), Ivan Triesault (as Jan Spavero), John Abbott (as Peter Althius), John Tyrrell (as Mac), Fred Graff (as Pinkie), Robert B. Williams (as Homer), Fritz Leiber (as Dr. Charles Morris) and Milton Parsons (as Adamson).